Posted January 17, 2019 by admin & filed under Car Repair. In order to run smoothly, your vehicle’s engine is dependent upon countless moving parts which are able to work properly thanks to various fluids. Antifreeze/Coolant. This invaluable fluid can appear to be in good shape for a significant amount of time as it typically maintains the same bright green hue it had when it was first installed for a while. Worn out or contaminated antifreeze/coolant can lurk at the bottom of your system though, and when this older fluid courses through your engine it can cause costly corrosive damage. Motor Oil. As a rule of thumb, you should have your oil changed every 3,000 miles or so but it’s not a bad idea to have a mechanic check your levels and consistency before hitting this deadline. 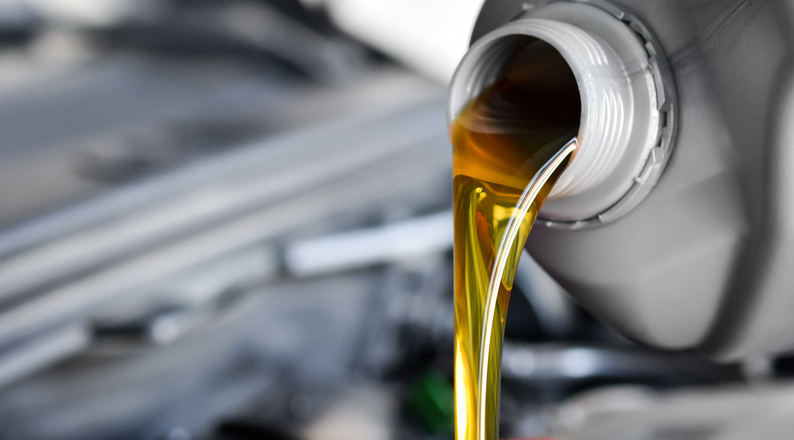 If you go beyond the 3,000-mile threshold without getting an oil change done, the oil in your vehicle will thicken and become unable to properly lubricate your engine which will lead to major problems. Transmission Fluid. If your vehicle’s transmission fluid is red-clear in color, it’s most likely in good shape. If it’s a darker shade of red, your transmission could be in trouble. Your transmission fluid should typically be changed out every 20,000 miles or so, but you should monitor its coloration closely to see if this should be done sooner. While they might not be the first thing that comes to mind when you think about your vehicle’s health, its fluids are vital to your engine’s ability to properly run. By staying on top of your fluids’ flush and top-off schedules, you’ll be preventing damage to key engine components and avoiding any potential breakdowns. Be sure to call D’s Auto & Truck Repair at 616-796-9929 to set up a preventative maintenance plan for your vehicle that includes all mechanical fluids!